Linda Holden and Theresa Goodwin are the owners of Skyline Gymnastics Center. For over 30 years, Skyline has continued to grow and expand at its current location. Linda and TC take an active role in the day-to-day operations of Skyline. 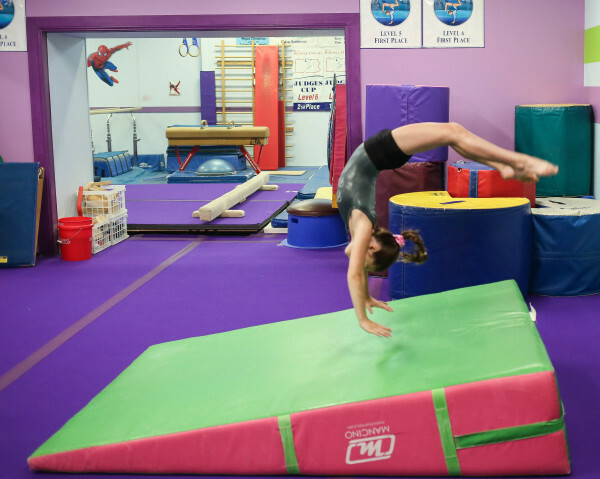 Our goal is to provide your child with a positive gymnastics learning experience. All of our Competitive Team Coaches are USAG Safety Certified and have criminal and child abuse background checks. They keep up to date on the latest in gymnastics trends and techniques through clinics, national camps and congresses. Skyline employs an excellent group of class instructors who are trained in safe and effective gymnastic progressions. Our experienced staff will be good role models, enthusiastic and create a positive learning environment for your child. All our staff's pictures are displayed in our lobby so you can put names to the faces. The owners and staff look forward to meeting you at our facility. Stop in and they will be proud to show you around!